The Digital Weight Indicator Ohaus CKW55 is a full-featured static checkweighing indicator with simple functionality at a competitive price. Its multiple configurable checkweighing parameters and construction were designed with simplicity and dependability in mind that could translate to increased productivity, security and lower cost of ownership. Here you will find the best load cell, all models all brands, are highly efficient and long-lasting products because we reserve the best materials just for you. 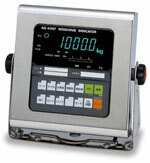 All our Digital Weight Indicator Ohaus CKW55 are guaranteed. 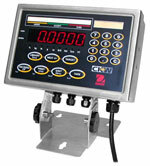 Digital Weight Indicator Ohaus CKW55 are one of the best on the market this days. What are you waiting for ?